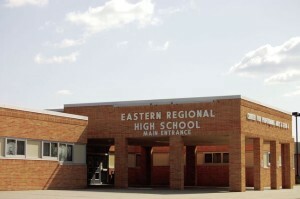 Seniors at Eastern Regional High School will soon attend the commencement ceremony for the class of 2016. When those seniors walk off the field at Eastern that day, they’ll be taking the first steps into the next part of their lives. Yet before those seniors go their separate ways for the summer and possibly the rest of their lives, there’s a dedicated group of parents who hope they will meet as a class one final time for this year’s Eastern High School Project Graduation party. Project Graduation is the nationwide effort where parent-led groups raise money through the course of students’ high school careers so students can have a safe graduation party free from pressures of alcohol and drug-use. Project Graduation first came to Eastern in 1993, and according to co-chair Stephanie Caputi, this year’s event is shaping up to be another night of fun and excitement. While previous years’ events have been held at the Dave & Buster’s arcade in Philadelphia, Caputi said this year’s event has been moved to the Funplex in Mt. Laurel. With the move, Caputi said students will have a wide range of options beyond just video games, as the Funplex offers attractions such as go-karts, bumper boats, bowling, a roller coaster, laser tag and more. “It’s the last time the kids are all going to be together, and we want the kids to enjoy themselves and have fun,” Caputi said. According to Caputi, the hours for this year’s event have also been shortened to 10 p.m. to 2 a.m., so more students can attend without being exhausted from their graduation earlier in the day. To keep the environment fun and safe, Caputi said students won’t be allowed to enter The Funplex with bags or containers, and about 20 chaperons will be on hand, along with a Mt. Laurel police officer. While this year’s event is mostly set, Caputi is now putting out the call for the parents of future classes to step up and help provide Project Graduation events for years to come. Caputi said this year’s event is expected to cost about $40,000, and Project Graduation is funded entirely by donations, fundraisers and membership fees. It’s memberships in particular Caputi is hoping to drive up, as she said last year’s event attracted about 380 of Eastern’s 481 graduating seniors, but Project Graduation only has about 170 memberships. Caputi said tickets for the event will be available to seniors during all senior lunches at Eastern through June 10. With the ticket price, students get transportation to and from the party, entry, entertainment, food and a t-shirt. Those who wish to learn more about Eastern Project Graduation or who want to help keep the event at Eastern for future classes can visit www.leaguelineup.com/ welcome.asp?url=easternprojectgraduation. Membership dues to Eastern Project Graduation are set at $15 per family per year, with all funds going directly to the Project Graduation events. “We just want the kids to have fun and have a great night, but we need the community’s help in making sure that this is a constant thing for them,” Caputi said.